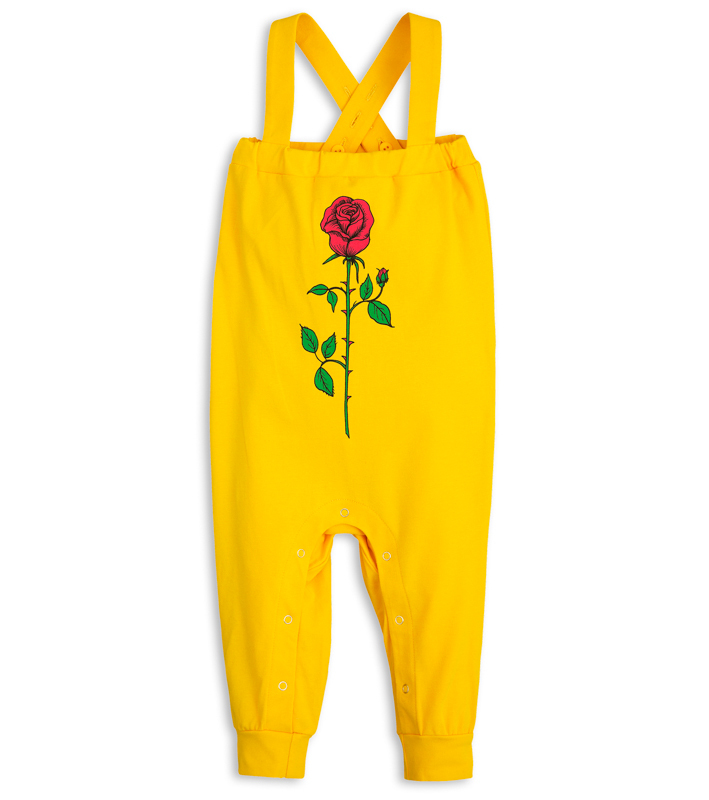 Yellow baby trousers with braces and a red rose printed at front. 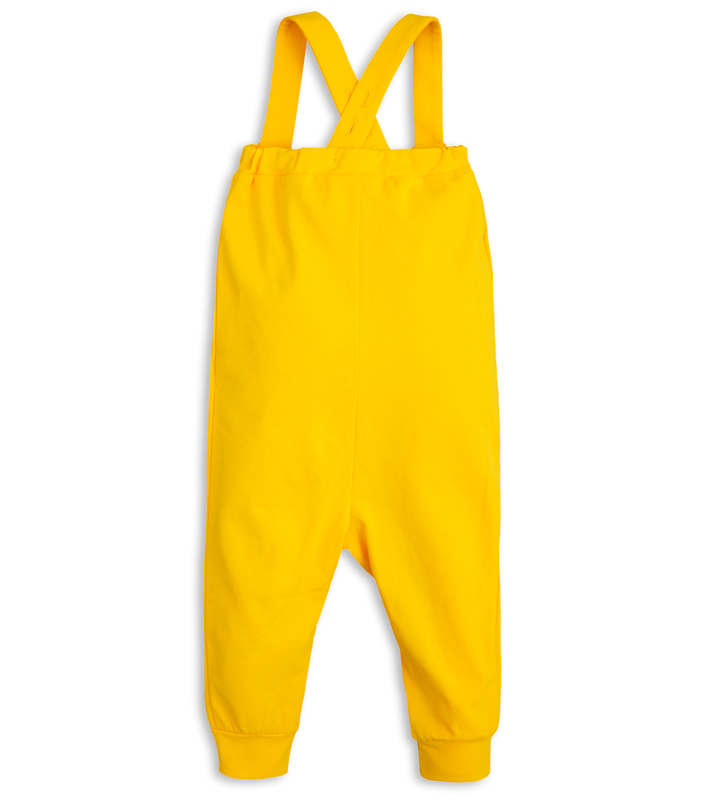 The braces have three buttonholes for easy length adjustment as the child grows. The trousers have snap buttons along the inner legs for easy dressing and soft cuffs at leg endings. Made of organic cotton. Mantenha-se informado sobre todas as novidades e promoções.